The States of Jersey Assembly has today passed legislation adopting a ‘soft opt-out’ system for organ donation on the island, similar to the system which has operated in Wales since 2015. This means a deceased person will be assumed to have consented to organ donation unless they have previously opted out and their family members provide no evidence that they wished to opt out. Humanists UK has welcomed this legislation which it is hoped will dramatically increase the number of organs available for donation, saving lives. This legislation, which passed with 44 votes in favour and only one against, will replace the current ‘opt-in’ system of organ donation, where individuals willing to donate their organs have to sign up to the organ donor register. Currently only 12 percent of islanders have registered as organ donors, despite research suggesting that far more would be willing to donate. The law is now awaiting approval by the Privy Council and then will come into force at a later date. 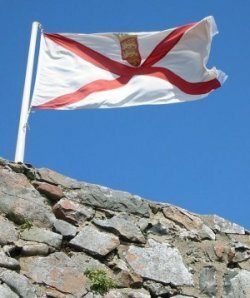 The passing of this legislation has followed the holding of a consultation on moving to an opt-out system on Guernsey, to which Channel Island Humanists responded, and announcements by the Scottish and Westminster Governments that they intend to introduce this system in Scotland and England, respectively. Last week, Isle of Man politician Martyn Perkins announced that he will introduce a Private Member’s Bill to the Tynwald to bring about a similar change in the Isle of Man.